I've really been trying to catch up on season 7 of Pretty Little Liars but i just can't seem to get into this season for some reason. I feel like they are just repeating story lines but with just different people involved this time round....please tell me I ain't the only one who feels like that about season 7?! The only song I've been loving this month is Calum Scott - Dancing On My Own, I'm so glad he has brought this song out as a single as it was also he's audition song on Britain's Got Talent. I'm sure you have all already heard this song, but if you haven't then do go and check it out over on YouTube. In with the "12 Books In 12 Months" for the month of August I read Lateysha Grace - Valleywood, I managed to read this book in just a few days as once I started reading it I couldn't put it down without wanting to read more. Definitely a book I would recommend to others. Most of my photo's I've taken this month have been ones from down in Leysdown, but there will be a separate blog post showing you some of them very soon. I'm still deciding which ones to put into a blog post as there is over 300 of them haha. I actually don't think I have brought much this month apart from a couple of stationery bits and new inks for my printer. I did purchase all the bits from the new skincare range that I mentioned in THIS post though. I've been loving Grapes and Revels this month, not together obviously as that would be a bit weird haha. I've been eating grapes like they are soon to be non-existent although they do need to be green grapes and not those red ones. When it comes to Revels my favourite ones out of the pack are the coffee flavoured ones, yummy! I'm not too keen on the toffee ones though as I do find them ones a bit to chewy sometimes. The main thing that is on my wishlist for the month of September is a HydrateM8 Water Bottle, the pink one of course. I've seen loads of good things about the HydrateM8 water bottles and think one of these with the times on will definitely help me to drink more water. I've finally got around to transferring every photo off my iPhone over to my iMac, so I've gone from over 700 photo's on my phone down to just 14! It needed to be done though as I had no storage left on my phone at all, which wasn't good. 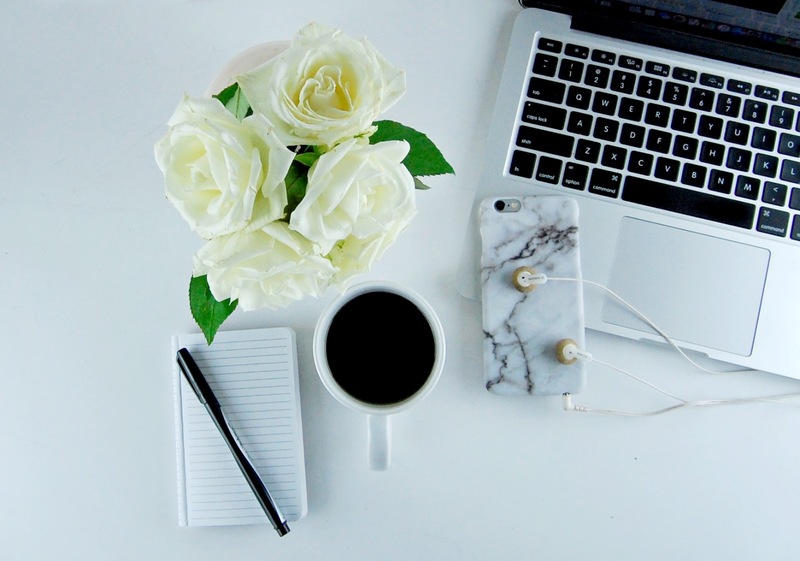 This month I decided to give myself some "me time" which meant I haven't been pushing myself to blog 3 times a week like I usually would and staying up late to make sure all posts were perfect. Instead I've been spending more time with the family and also catching up other loads of other bits and pieces which has been nice to do. I have missed blogging though so let's see what September brings for me when it comes to the blogging side of things.